ISLAMABAD: The Centre has initiated the process of reconstitution of the 9th National Finance Commission (NFC) for determination of a new award with the finance ministry desiring to take away a slice from the revenue pie of the provinces. 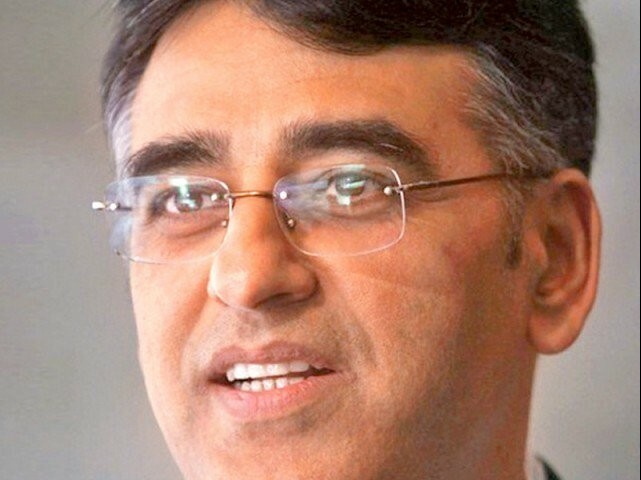 Federal Finance Minister Asad Umar has written letters to all provincial chief ministers for the reconstitution of the 9th NFC, said the Ministry of Finance on Wednesday. The letters say new governments are in place — both at the federal and provincial levels after the general election, necessitating re-confirmation of non-statutory members from the provinces. The finance minister asked the chief ministers to either reconfirm the earlier nominated members or intimate the change in the nomination to enable the federal government notify the 9th NFC and start deliberations of the commission. The federal finance minister chairs the NFC. The NFC is required to be set up at intervals not exceeding five years as required under Clause (1) of Article 160 of the Constitution. The federal finance minister and provincial finance ministers are statutory members of the NFC. Each provincial government also has the right to include one non-statutory member. The last Pakistan Muslim League-Nawaz (PML-N) government had constituted the 9th NFC for determination of the 8th NFC award. The 9th Commission held few meeting till end of November 2016. Subsequently, no meetings were held. The 9th NFC still remains in vogue. Dr Kaiser Bengali was representing Balochistan as technical member. Senate Deputy Chairman Saleem Mandviwalla was the technical member from Sindh, Dr Ali Cheema represented Punjab and Professor Ibrahim was representing Khyber Pakhtunkhwa (K-P). The finance ministry said the letters have been dispatched to Punjab Chief Minister Usman Buzdar, Sindh Chief Minister Murad Ali Shah, K-P Chief Minister Mahmood Khan and Balochistan Chief Minister Jam Kamal Khan. Currently, the Centre gets 42.5 per cent of the divisible pool while provinces receive the rest. Under the 7th NFC Award announced in 2010, the share of provinces had been jacked up to 57.5 per cent of the total divisible pool. Former finance minister Ishaq Dar had proposed to cut the provinces’ share by 6% to meet extraordinary security expenditures and fulfill requirements of the Azad Jammu & Kashmir, Gilgit-Baltistan and Federally Administrated Tribal Areas (Fata). There was no deadlock in the 9th NFC as Ishaq Dar formally placed the proposal of cutting the provinces’ shares and the provincial governments sought time to respond to the proposal, said Dr Bengali, Balochistan’s non-statutory member. He said subsequently no NFC meeting was held. The growing expenditures on interest payments and defence and the federal government’s inability to enhance the tax-to-GDP ratio have squeezed the federal fiscal space. The debt servicing and defense is eating up roughly 57% of the total federal budget. There was slight improvement in tax-to-GDP ratio in past five years but that was not enough to match the increase in expenditures. The Finance Ministry is now eyeing on the share of the provinces to lower its budget deficit, which in the last fiscal year increased to a record Rs2.26 trillion. The last caretaker government has also suggested a new mechanism for resource distribution under the NFC award. The former caretaker finance minister Dr Shamshad Akhtar recommended reducing the gross cumulative share of all provinces from 57.5 per cent to 49.3 per cent of the divisible pool. The caretakers recommended reducing the divisible pool by 3 per cent for maintaining security expenses, 3 per cent for special areas and 2.2 per cent for Benazir Income Support Programme (BISP). This amounts to slightly higher than the 46.5 per cent of the divisible pool that the four federating units were getting until 2010-11. For the current fiscal year, the share of the provinces in the federal divisible pool is projected at Rs2.59 trillion. 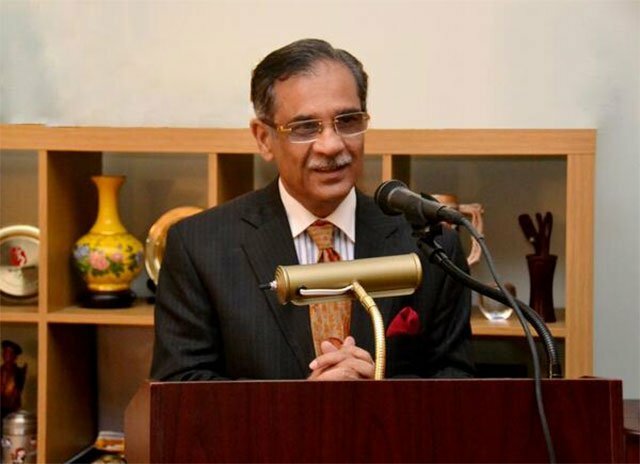 However, Dr Bengali argued that the caretakers did not have mandate to make proposals on the constitutional matters, as only the NFC has such mandate.